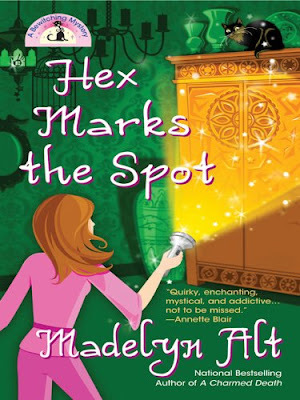 It’s been a couple of years since I picked up the second book in Madelyn Alt‘s “A Bewitching Mystery“ cozy series, A Charmed Death; and even longer since I was introduced to Alt's protagonist Maggie O’Neill in the first book, The Trouble With Magic. 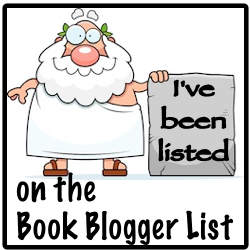 I… moderately… enjoyed each book; not quite won over, but not quite unfulfilled. Nevertheless, I found myself interested not only in the cozy mystery sub-genre the series is written for, but also by the premise of a young witch (though I find that debatable) as the main protagonist doing the sleuthing. While that is nothing new, it was a first for me. (At least outside of Diana Teagarden.) So I enjoyed the first two books just fine, certain that I would proceed forward and stick with the series. Unfortunately, it’s been a hot minute since I've picked up book three. Having bought Hex Marks the Spot last June, I've just now decided to give it a go. Why not? It’s been hanging around long enough. And thankfully, I actually enjoyed myself pushing and swallowing down the sweetness of its borderline chick-lit flavor. Hex Marks the Spot was fun! I even laughed a little. There were moment of suspenseful reading, and sometimes I found myself touched by the romance elements. (I have to stress touched and not body slammed by it.) However… a couple of things did bother me. One was the entanglement of Alt’s A Story, B Story and C Story. The other was a lot more technical, as it relates to the construction of her mystery. But first, what is Hex Marks the Spot about? Small town pseudo-witch and magic shop employee, Maggie O’Neill, arranges to tag alongside her boss and local witch, Felicity “Liss” Dow, on a trip to a crafts bazaar. Here they meet residents of the nearby Amish community–one being their close friend and fellow paranormal investigator, Eli Yoder. Bent over a sawhorse in an open horse barn, Eli greets his friends as he goes about crafting bookshelves and end tables for bazaar shoppers. Liss, of course, buys a couple for her shop before spotting an armoire ablaze with a Celtic hex symbol. Interested, Eli has to pass on Liss’s offer as the armoire is wheeled aside to take part in an auction. Disappointed and unable to pull her eyes away from the hex symbol, both Liss and Maggie curiously wonder when did Eli gather the talent to do such a detailed carving–particularly that of a hex. Apparently, while Eli did his job to build the actual armoire, the hex feature was constructed by another Amish carpenter named Luc Metzger. Besides his talents, Luc Metzger is somewhat of a heartthrob in the Amish community; and my how this nettles Luc's wife. Nonetheless, making a long story short, he’s found dead on the roadside with a busted head and an interesting hex symbol hanging near his body. Was Luc’s murder religiously motivated? Or maybe Luc’s murder was a result of a fatal attraction? Or, learning that he had a history of romantic side affairs, perhaps his wife finally took him out? Whatever the answer, his murder pops up on Maggie’s witch radar. While there’s plenty to talk about here, I'll stick with the three stories that are running all together that more or less kept teetering between my full attention and indifference. The B Story: …our main protagonist is locked in a brewing love triangle between her part-time boyfriend, Officer Tom, and a fellow named Marcus Quinn. Marcus happens to be Maggie‘s boss's “magic partner.” Hmmm... Nonetheless, this triangle and Maggie’s ruminations about love and so forth and so on was sometimes so present that I forgot that she’s the eyes and ears to solving the Amish man’s murder. So while the clues came, they seemed mostly stumbled upon. This is both good and bad. Granted this all seem fit for a cozy mystery, but that extended push on the chick-lit side of the spectrum kind of kept me rotating my wrist for the B Story to move along. Of course, this is only my take on it. However, when a male character decides to tweak-tap-pop the female on the nose, head, or otherwise, I tend to cringe. Or if he quizzes her as if she’s incapable of even the slightest form of sleuthing self-sufficiency, I tend to grimace. But I'm sure many may find that cute. The C Story. I love paranormal and parapsychology topics, such as ghost, spirits and psychic phenomena. So I found myself perked whenever the sleuth conversed with her pals about these. The C Story revolved around a cast of ghosts haunting the town’s library, one, in particular, roaming the building’s boiler room. So in turn, the histories of these ghosts are investigated, uncovered, and toting their own surprises. I had a solid time following through with the direction of the C Story. So that’s where I landed at the end of Hex Marks the Spot. The last thing that I wanted to mention came from the mystery aspect. And I'll keep this even shorter and sweeter by saying how un-fun it is to not have multiple suspects given to the reader to ruminate over. Sure, there were (as far as I read) two. However, that wasn't enough. I would've liked more suspects with secrets. I would've loved someone with a rotten reputation as a potential suspect. Or a stonewalling character. While I did find the actual culprit one with believable motives, I just was never thrown off the trail by another character with an even better motive, lie, and secret for Maggie to dig some dirt on. Therefore, if you almost idly pay attention, you'll probably know more than a quarter away from the end exactly who was behind the murder and why they chose to do so. It was pretty evident for me, anyway. So that’s all I have. I’m done. 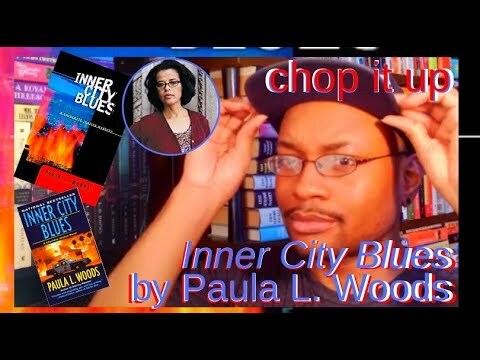 Will I buy the fourth book in the series? Absolutely, I will. It’s part cozy, part chick-lit, part witchy, part parapsychological. And it’s also only eight books deep. Hey, I can do this. Maggie is likable enough to tell her story to me.